With the help of Louisiana’s librarians, LSBA attorneys will provide library patrons with limited legal services at no charge. “Lawyers in Libraries” events provide the public with free limited legal services from attorneys across the state. 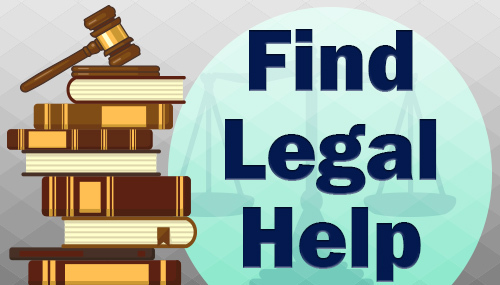 Included below are several resources created by the LSBA Access to Justice Program to assist Bar members and library staff in providing this much-needed service. Attorneys are asked to provide 15-minute individual “Ask-a-Lawyer” sessions, allowing patrons to ask questions about civil legal issues in a one on one setting, and receive brief legal advice and/or a referral for additional help. Alternatively, attorneys may provide workshops on specific topics (i.e. divorce, estate planning, etc…) in a classroom setting without providing individualized legal advice. The type of service provided will vary by location depending on local need, and attorneys’ practice area and preference. Library staff commit to promoting and hosting the event, and possibly scheduling appointments in advance. “Lawyers in Libraries” events will take place in public libraries in every parish in the state. Attorneys are encouraged to volunteer by registering online (once registration opens).The LSBA will connect volunteer attorneys with local libraries who have expressed an interest in hosing an event. The LSBA statewide week of service, held in conjunction with National Celebrate Pro Bono Week, will occur from October 21-26, 2019. Events are scheduled based on attorney preference and library availability. The motto of the LSBA reads “Serving the Public. Serving the Profession.” For the public, this ideal confirms our commitment to providing access to the legal system for all individuals, regardless of financial circumstance. For attorneys, the Bar aims to better connect the public with counsel, and also enable a more efficient and just legal system. In Louisiana and across the country, legal aid and pro bono resources are perpetually exhausted. To meet the legal needs of those without access to an attorney, the LSBA has worked to develop helpful resources, cultivate community partnerships, and make Louisiana attorneys more available to the public.